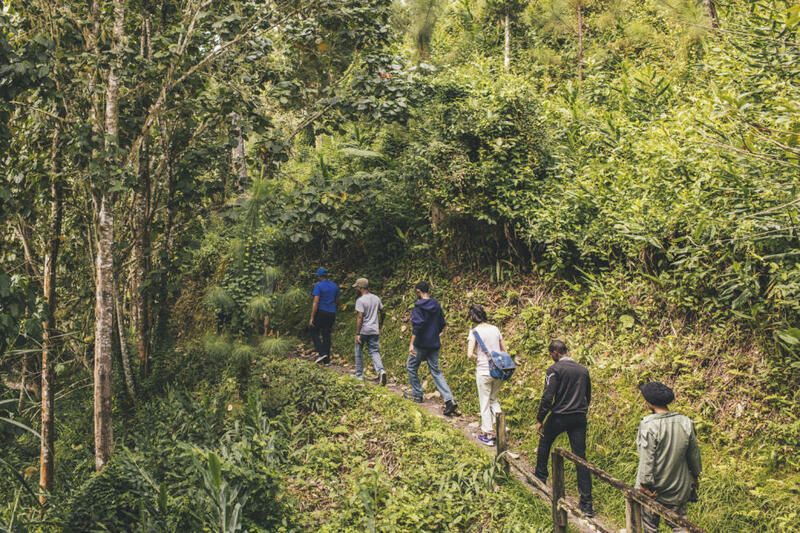 Are you seeking an excursion through the rainforest of Jamaica with a knowledgeable guide? Consider taking a guided hike at Holywell Recreation area for an authentic and memorable experience. The Holywell Recreation area, located in the Blue and John Crow Mountains, offers exceptional hiking suitable for all levels. The trails are family friendly and vary in duration. Check out the 5 different guided hikes offered at Holywell. This easy trail is only a 10 minute walk through the forest but offers exceptional views of the city of Kingston below and the southern coastline. This 250m trail is fairly level and suitable for children and senior citizens. The short walk end at a picnic area where you can relax and soak in the scenery for a moment longer. Looking for more, try stepping up your game by taking the moderate level Oatley Mountain Trail. The hike is 1.2km and takes roughly 1 hour to hike. Along the way you will pass 3 look outpoints that overlook St. Andrew and Portland. The hike is unique in that it descends through primary forest and is rich in ferns and mosses, with over 50 different species of trees and shrubs. Another moderate range trail includes the Waterfall trail, the 1.3km long and takes roughly 1 hour to hike. The trail guides you through a valley of ferns where over 50 varieties can be observed at different stages of development. At the end of the trail you come to a 4.5 meter cascading stream with a pool big enough to dip your feet in the nice cool water. This short 600m moderate trail offers views of the parish of Portland and only take a half hour to complete. Here you can also observe bromeliads, vines and the rich biodiversity of the rainforest floor. Similar to the Shelter trail, the Wagwater trail is short in length and duration, but moderate in difficulty. This trail follows a steep one-way path to a tributary of the Wagwater River.